Eurochild will be holding its general assembly in Brussels this week with two young Maltese girls swapping posts. 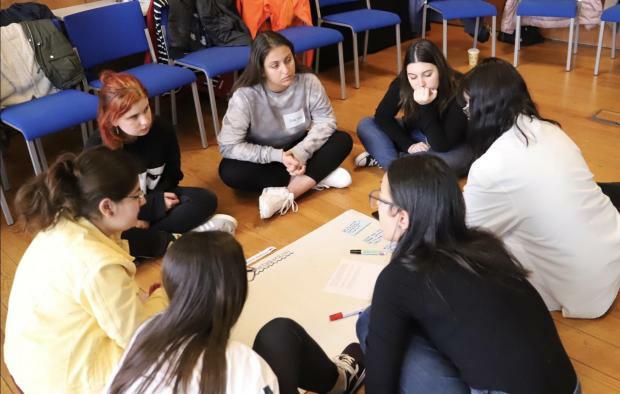 For the past two years, Sharon Cilia, a member of the Children’s Council within the Malta Foundation for the Wellbeing of Society, served as the Maltese representative on the European Children’s Council coordinated by Eurochild. This council was inspired by an initiative taken by the Malta Foundation for the Wellbeing of Society – which has, since its inception, worked and spoke of the importance of child participation in democratic processes – a model which even led to Maltese children participating actively in a number of international fora. Eurochild, an advocacy network of organisations working with and for children throughout Europe, will gather experts from its members, which amount to more than 170 organisations. Martina Oliva, a member of the Young Person’s Council within the Malta Foundation for the Wellbeing of Society, and a member of the National Eurochild Forum, will be serving as the new Maltese representative on Eurochild’s European Children’s Council. President emeritus, and chair of the Malta Foundation for the Wellbeing of Society, Marie-Louise Coleiro Preca expressed her satisfaction on the fact that the foundation was indeed a pioneer on active child participation in Europe.